Finally – the most requested feature in the history of Buddy has landed! Following tag push executions, it is now possible to trigger pipelines from single and forked repositories on pull requests. This means that you can now use Buddy’s pipelines to test PRs and give GitHub the green light for merge! Below you’ll find use cases for both. Add new pipeline and set the Trigger mode to On push. 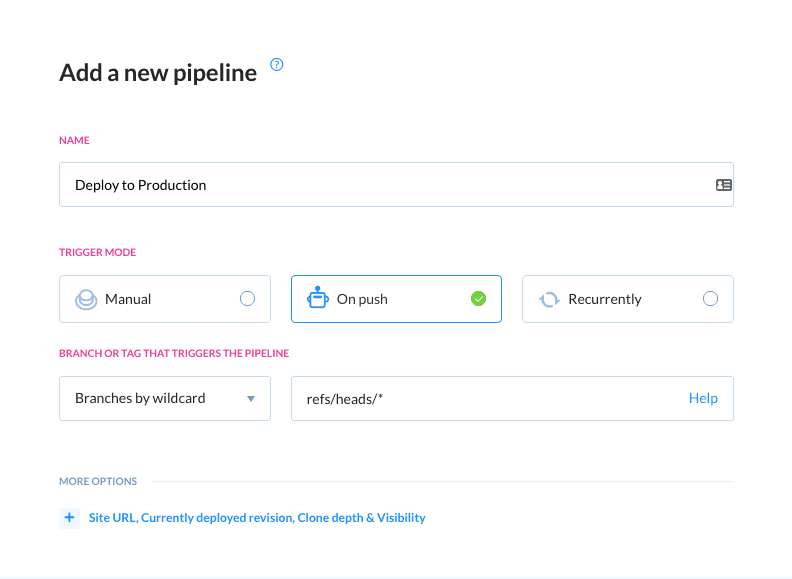 If you are using a forked repository to make changes that you want to merge to the upstream, you can create a pipeline that will help you decide if the changes are ready to be accepted. By default, this feature is turned off. It can be activated by clicking Pull Requests and throwing a switch in the right column of the Pipelines tab. 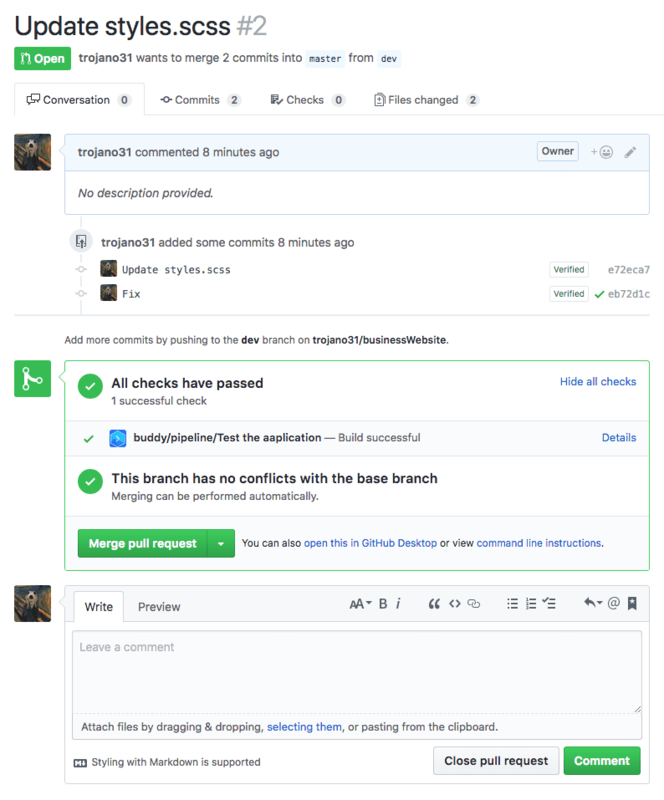 Just as with single-repo PRs, the forked PRs also have full integration with Github’s pull requests tab and the pull request activity stream for managing PRs acceptance. WARNING: If your GitHub repository is public and YAML for Buddy configuration is enabled, turning on forked pull requests in a project may lead to disclosing your sensitive data by exposing environment variables stored in your repo. In this case, it is better to switch back to the GUI mode, or not use public GitHub projects at all. Need help setting up your Git workflow? Reach out on the Intercom or drop a word to support@buddy.works with a short description of your process and we’ll prepare a working demo for you.